Bringing Your Passion Back to Politics! So You Support the Olympics? With gentle sounding charges of 2.5%, much less than the 15% service charge you pay when you go for a restaurant meal, the pension funds can grab nearly half of a lifetime’s savings. Something you may only realise when you get the letter announcing your pitifully disappointing pension, discovering too late the jaws of post-retirement poverty that have been tightening on your throat for the previous 40 years. Read the whole post. I can’t possibly do it justice here. But anyone who really thinks the Tories aren’t doing anything ideological with public sector pensions ought to think again after reading this. Forcing workers to pay more is a political choice, not an economic necessity. Around two million public sector workers will strike today over the government’s reforms to public sector pensions. Photograph: Getty Images. The biggest strike for a generation has begun, with around 30 unions, including, for the first time in its history, the National Association of Head Teachers, and two million public sector workers walking out in protest at the government’s reforms to public sector pensions. According to the Department for Education, around 58 per cent of England’s 21,700 state schools will be closed, with a further 13 per cent partially shut. With most polls showing a small majority against the strike and others showing support evenly split between the strikers and the government, the battle for public opinion has only just begun. Indeed, the most notable poll finding of recent days (courtesy of TNS-BMRB) is that just 4 per cent of private sector workers claim to know a lot about why the strike is happening. Despite the increasingly sharp rhetoric from both sides, the truth is that today’s “day of action” may change little. But there’s no doubt that Osborne’s new, tougher austerity programme has upped the stakes. As I reported yesterday, the Office for Budget Responsibility predicts that no fewer than 710,000 public sector jobs will be cut by 2017, 310,000 more than previously forecast. In addition, Osborne’s plan to cap pay rises at 1 per cent means that some workers will have suffer an average 16 per cent pay cut over the next five years. If public sector workers can’t go on strike in these circumstances, when can they? For now, here are two myths that deserve to be rebutted again. The first is that public sector pensions, in their current form, are “unaffordable”. David Cameron, for instance, has frequently claimed that the system is “broke”. But as the graph below from the government-commissioned Hutton Report shows, public sector pension payments peaked at 1.9 per cent of GDP in 2010-11 and will gradually fall over the next fifty years to 1.4 per cent in 2059-60. The government’s plan to ask employees to work longer and pay more is a political choice, not an economic necessity. As the Public Accounts Committee observed: “Officials appeared to define affordability on the basis of public perception rather than judgement on the cost in relation to either GDP or total public spending.” In other words, the public have been misled and ministers are determined to keep misleading them. The second is that inadequate pension provision in the private sector is a reason to reduce pension provision in the public sector. The Daily Mail et al repeatedly point out that two-thirds of private sector employees do not have a company pension, compared to just 12 per cent of public sector workers. But this is an argument for improving provision in the private sector, not for driving it down in the public sector. Ministers must not fire the starting gun on a race to the bottom. Indeed, many pensionless private sector workers depend on their partner’s public sector pension to ensure a basic standard of living in old age. We can debate the merits of industrial action as a form of protest. But with public sector workers facing a triple crunch – higher contributions, a tougher inflation index and lower benefits – it’s hardly surprising that they feel compelled to defend their rights. Even before any of the Hutton reforms are introduced, George Osborne’s decision to uprate benefits in line with CPI, rather than the RPI, has already reduced the value of some pensions by 15 per cent. Strip away the government’s rhetoric (“unaffordable”, “untenable”) and the truth is that ministers are forcing workers to take another pay cut, forcing them to pick up the tab for a crisis that they did not cause. The public might be on the side of ministers, for now at least, but the facts are on the side of the unions. The research also indicates differencesbetween men and women in their outlook on the strikes and the economy. The poll indicates greater sympathy for the industrial action among women – at 67% – compared with men, at 55%. But this does not mean the nation necessarily supports the strikers – the BBC’s question is too general. Thankfully, the Sunday Times conducted another poll yesterday asking specifically whether they support or oppose Wednesday’s strike action. The results are the polar opposite: half of those polled ‘oppose’ head teachers, teachers and civil servants striking. When asked what Ed Miliband’s attitude on the strikes should be, only 23 per cent said he should support them. The most significant proportion (33 per cent) say that he should stay on the fence. 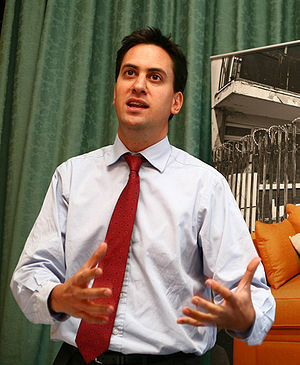 If he has any sense, the Labour leader will remain on the fence and avoid backing these controversial strikes. But there are numerous flaws with what the Telegraph has extrapolated from the data. Above all they ignore the responsibility of a political leader, long ignored by Labour and Conservative alike is to lead, not merely to win power. Secondly the data doesn’t indicate how well informed people are about the issues. You’d probably find a similar poll showing support for the death penalty being introduced; it doesn’t mean that should happen. Thirdly the question has an inherent bias – merely framing the argument as being only about whether people should, or not, work longer and make higher contributions to their pensions. Taking that question in isolation is also a fatal mistake, as the entire poll shows pretty clearly that a majority of the respondents is opposed to the coalition and its flimsy record. If Miliband took responsibility for arguing an alternative to austerity and why the government’s position is so disgustingly wrong on the public sector, you may see those numbers change anyway, but no. By triangulating in true New Labour fashion, he justifies the government’s argument and betrays everyone who wants an alternative to the coalition which is dragging us all down with it. Mrs Foster-Agg, a head teacher of 11 years and a loyal Conservative supporter, said: “This has been the most difficult decision of my professional life. “It’s a very difficult decision for every teacher. “Putting the children first is uppermost in our minds and it is not a decision we take lightly. 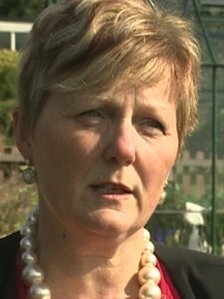 “This action for me is really in support of all the younger teachers who are going to lose out,” the Worcestershire head teacher said. “My concern is that they are not going to attract the best people into the teaching profession and you are not going to get the number of heads coming through, when there is already a shortage of head teachers. “Our pensions are not bust. Two recent audits have shown that the pension pot is viable for another 50 years and we are not going to be a burden on the taxpayer. “The difference in the summer was that I had faith in the government that they could work out a solution. You know that something’s seriously wrong when even Tories are prepared to strike against this government’s austerity agenda. In fact you might say that if someone like Mrs Foster-Agg says her pension isn’t bust, that it might just be true. In fact it might just lend a lot more credibility to the idea that the Tories’ agenda is ideological, not necessary. I hope very much that the unions shut whole swathes of the country down, and if the Tories really do retaliate by trying to rewrite striking legislation, then they’re even crazier than even I thought they were. Can we start talking about a Robin Hood tax yet? The French are, and even the founder of one of this country’s most successful hedge funds isn’t opposed to one!